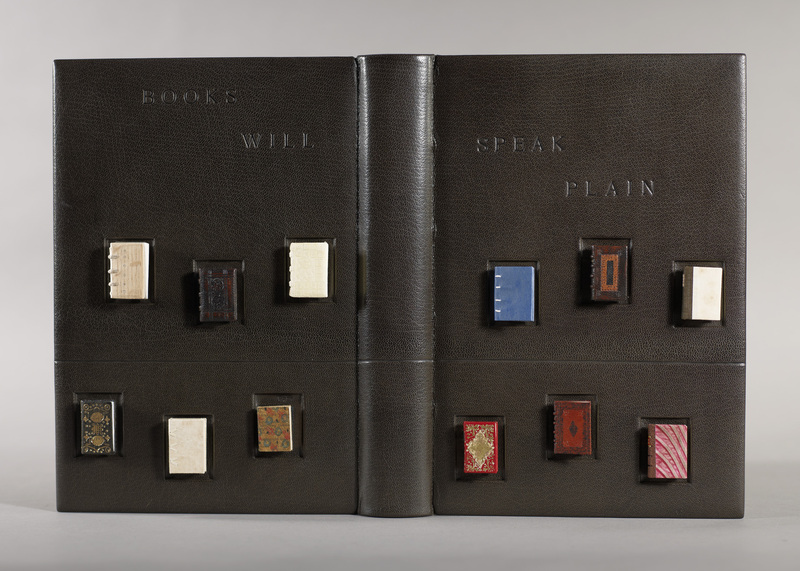 Full leather binding with twelve detachable miniature books in a range of historical styles. Todd Pattison studied bookbinding with Fred Jordan in western New York state in the late 1970s and early 1980s and went on to study with Hugo Peller and Edwin Heim in Ascona, Switzerland. He holds a Masters in Library Science from the University of Alabama and is currently senior book conservator at the Northeast Document Conservation Center.